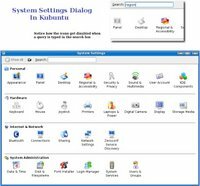 At the time of the official release of Ubuntu Dapper Drake, I happened to visit the site of Kubuntu - the alter identity of Ubuntu. And on an impulse, I ordered a CD of the latest Kubuntu 6.06 LTS which was also released more or less at the same time as Ubuntu Dapper Drake but with a lot less fan fare. I forgot all about it till a couple of days back, when I received the single CD I ordered enclosed in a beautifully designed blue CD case. This is one aspect of Ubuntu/Kubuntu I really like. They send you the CDs free of cost and they ship it to any place in the world and I believe this has helped in a large way in catapulting Ubuntu as the most popular Linux distribution. By the time I received the Kubuntu CD, I was very excited and raring to check out what Kubuntu had in store for the Linux users. I found that there is a great level of overlap between Kubuntu and Ubuntu in that the way it boots up is the same for both the distributions. And Kubuntu also uses the same installer bundled with the Ubuntu live CD which makes it possible to install Kubuntu in a mere six steps. More over, all the Kubuntu specific packages are in the same archives as that of Ubuntu. Kubuntu 6.06 has KDE 3.5.2 which is the latest version of KDE and so comes with its own set of improvements. One of the most noteworthy is the system settings dialog. 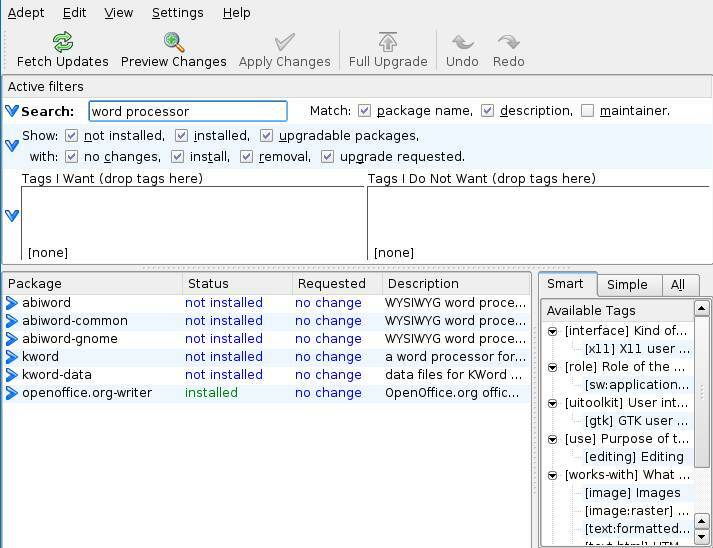 In the earlier versions of KDE, the system settings which includes configuring hardware, desktop and any other thing related to KDE had their own separate dialog which made it rather confusing to navigate. 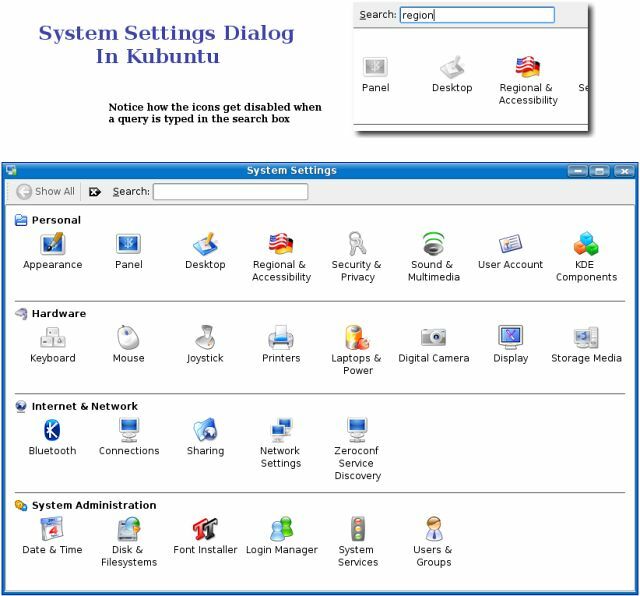 In the KDE that is bundled with Kubuntu, all the configuration settings can be accessed from a single location which is the system settings dialog - Windows users will find it similar to the Control Panel but much more intuitive. Another thing which I found exciting was the inclusion of search as you type feature in each of the windows - be it the file manager or the system settings. And one has to just type the query string and the files matching the query will be selected in real time. And to install additional programs, Kubuntu comes bundled with Adept - the installation manager similar to Synaptic found in Ubuntu. Here too, there is a search box and one has to just start typing and the results will be filtered as you type. 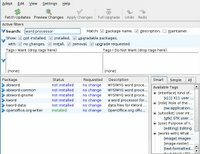 I found this software to contain additional features such as tree view and advanced search with more options which made it a better option than synaptic. man:/command - This will show the man page of the command in Konquorer in a nicely formatted manner. locate:/query - Locate files which match the query and show it in Konquorer. Under the hood, the protocol uses the locate command. ftp://ftp.anothermachine.com - Will ftp to the remote machine and display the files in the location. If the username and password are required, it will ask for it. settings:/ - This will show all the system configuration links such as hardware configuration, display settings, desktop settings and so on. fish:/ - allows one to access another computer's files using the SEcure Shell protocol. The remote computer needs to be running SSH daemon. All the commands are to be entered in the address bar of Konquorer. But I found that some of them also work in file open dialogs or the run command box and so on in KDE. The above list is only a small subset of the entire KIO slaves supported in KDE. The last time I looked, KDE supports nearly 50 different KIO slaves which includes one for tar, gzip and bzip2 archives. 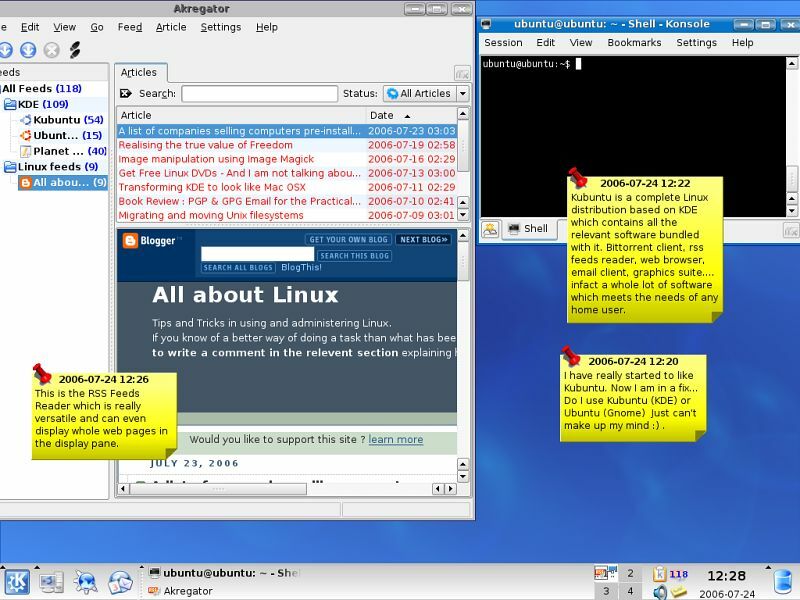 Kubuntu is no doubt a very polished distribution bundled with the latest version of KDE. Unfortunately, it has till now been overshadowed by its big brother Ubuntu to a large extent. But when KDE releases version 4.0 some time next year, I am sure it will gain more popularity than it now has and hence claim its rightful share in the lime light. Thanks for the overview, and especially the screenshots. I've received my Ubuntu CD, and am gearing up to try my first Linux ever!! One of the many difficult things for me was trying to figure out whether to start with Gnome or KDE (not to mention which distro). In the end, I defaulted on the decision, hoping that it would be easy to switch or try both if/when I that far. Thanks for your blog. Good post. I,too, ordered Kubuntu with verly little thought as to how it would work after using some of the other distributions. It works great!! But, it seems to be missing a bunch of stuff needed to install xclass and RX320 Linux software (Short Wave listening software), which I have not been able to fix yet. I just downloaded the APT how-to and maybe can figure out from there. great looking software from Kubuntu. I've been using Kubuntu on my Compaq laptop for over a year. I chose it because Ubuntu/Kubuntu is the only major distro that successfully detected all of my hardware. I've upgraded to 6.06, and last week also installed it on my Toshiba Satellite laptop. Now I'm completey non-Windows! Serial ATA is supported by only some of the Linux kernels as is explained in this page. But we can hope to see more Linux distributions supporting it in the future as they upgrade the kernel used by them by default. It is not distribution specific problem rather a kernel problem. You can try using a more recent revision of the kernel and see if it works. I've installed Ubuntu to several systems w/ SATA drives just fine; make sure SATA RAID is enabled in your BIOS if you're using your on-board SATA connectors (I know, doesn't sound right if you're not going to use RAID, but trust me). When the XP work licence I was using ran out, I thought, "Well you have been telling everyone how great Linux is, but you are a coward". Why a coward? Well I had kept my laptop dual boot, with the excuse that I needed Windows for work. I took the plunge and put Kubunto onto my old (Satellite Pro 4300) laptop. With a little help from Automatix I had all the extra software I needed loaded in no time. So I can watch films, surf the internet, send and recieve mail, write CD's, word process, connect to Windows servers, etc etc etc. And its Free!